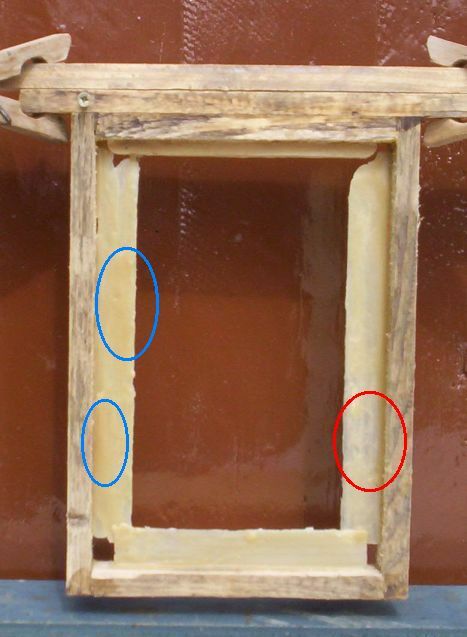 I'm just about ready to get a couple of dozen mating-nuc frames drawn-out from their popsicle (lollipop) stick starter-strips, but thought this might be a good opportunity to see just how well all-round wax starter-strips work. The technique itself is straightforward enough - simply place a batten which has been pre-soaked in water against the target surface, pour a spoonful of just-molten wax along the batten, wait a few seconds, then remove it. Hey presto - one starter strip remains in place, firmly attached to the target surface. 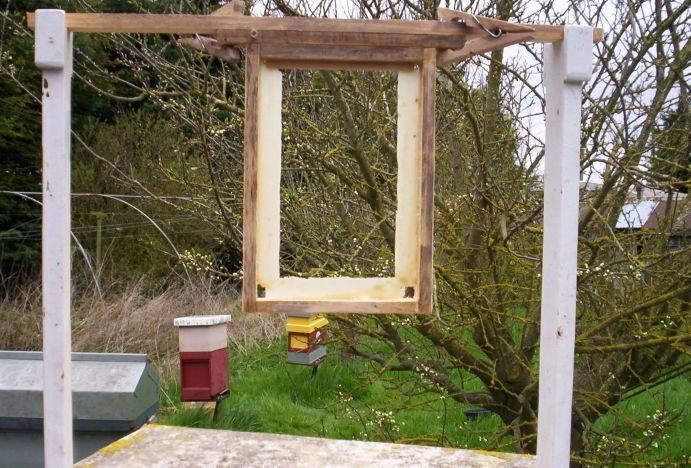 So - there you go - yet another way of producing a starter guide for the bees to use. I'll post pictures of the results as and when these frames are drawn-out.